Sunday was forecast to be a rainy day so we took our time getting going in the morning. As it turned out, the rain and storms that hit so much of Wisconsin and Illinois that day missed us completely and is was another beautiful, mostly sunny day with temperatures in the seventies. We couldn’t have asked for better weather the whole weekend. 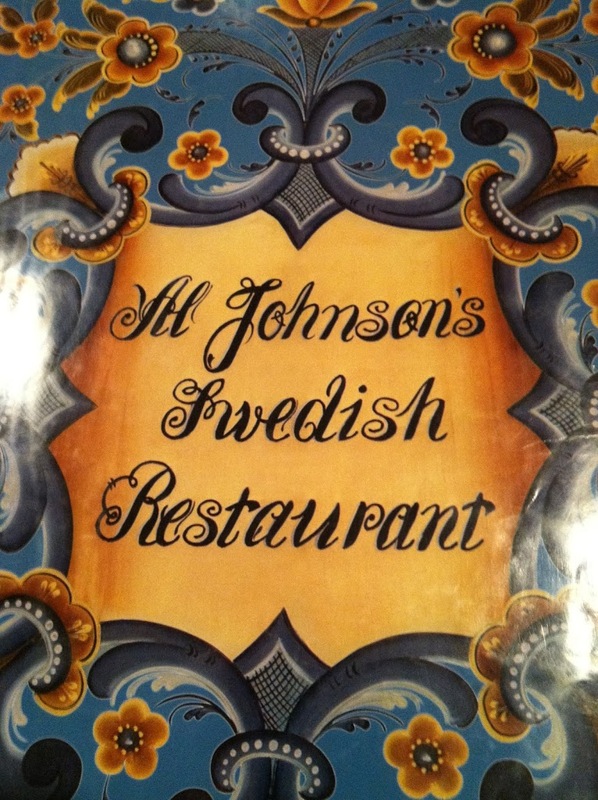 By the time we did leave the hotel it was already noon so we drove the 30 minutes to Al Johnson’s Swedish Restaurant and Butik in Sister Bay. 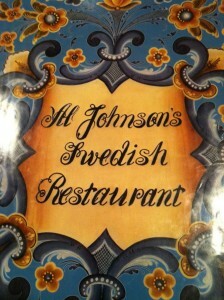 Al Johnson’s is one of those Door County institutions that should not be missed during any visit to the area. The Swedish pancakes are a specialty but anything from the menu is bound to be good. 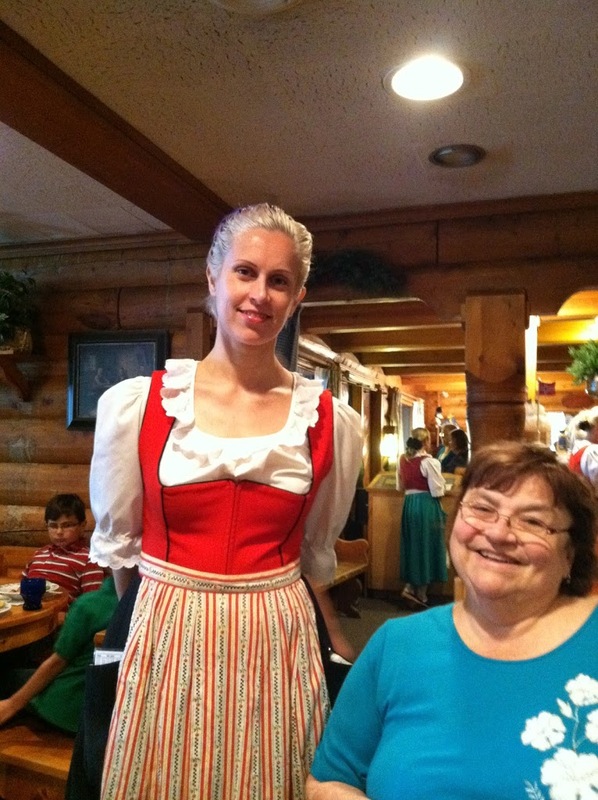 That the staff dresses in traditional Swedish costume adds to the charm of the place. Sadly, this trip we missed the goats. 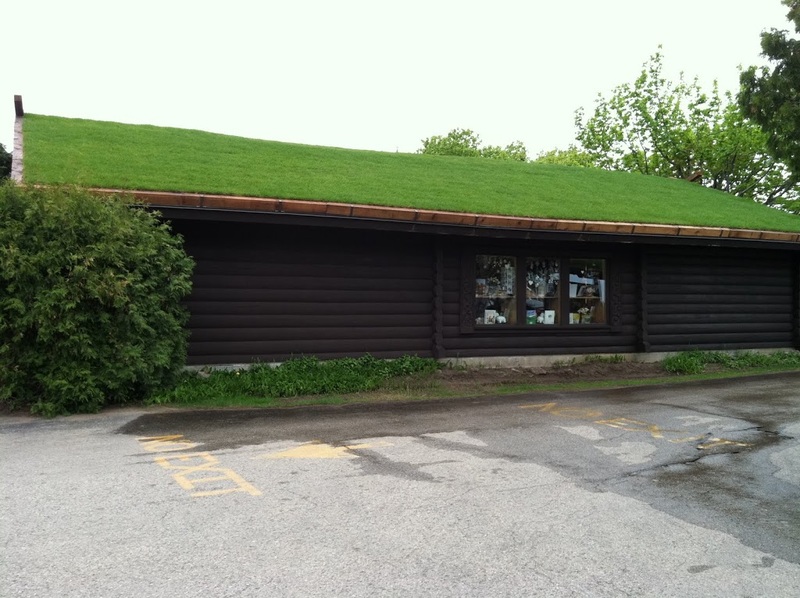 The restaurant is an old world Swedish style building with a sod roof. Usually a group of goats occupy the roof and keep the grass trimmed. This year though, the building needed to be re-sodded and that was done shortly before our visit. It will be a couple weeks before the sod takes hold enough for the goats to be allowed back up there. You can watch for them on the goat cam though. This trip we had to settle for pictures of some of the many trolls that inhabit the grounds. After some time in the gift shop it was already mid-afternoon. Near Al Johnson’s are the Country Walk Shops and that was our first after lunch stop. 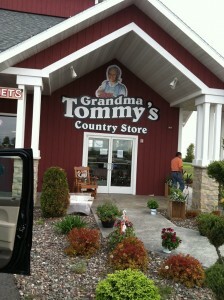 We went in and out of several stores but only bought a couple souvenirs. 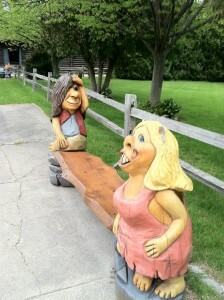 Another stop was at Woods Orchards where we bought a ceramic birdhouse. 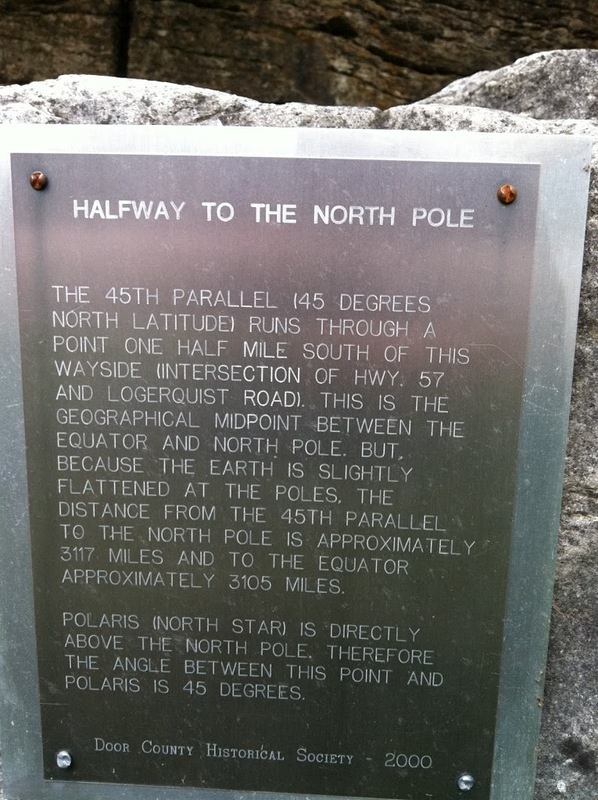 I just had to pull over to get a picture of this marker indicating that we were midway between the equator and the north pole. We had passed Koepsel’s Farm Market a few times on our trips up and down the road and each time Georgia said she wanted to stop there sometime. Today was a good day to catch up on things we had missed so I made Koepsel’s our next stop. We sampled several of the delicacies and ended up buying dried cherries and beef sticks. 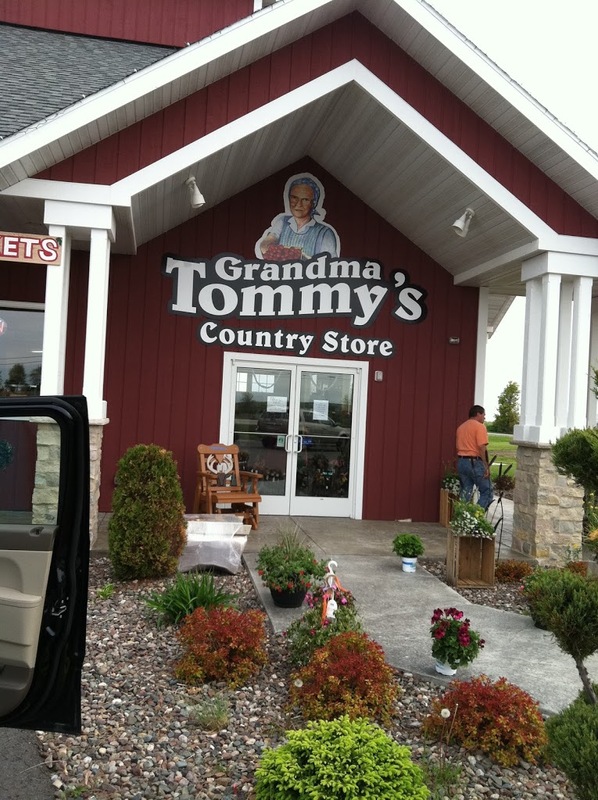 On the way back to the hotel we stopped at Grandma Tommy’s Country Store for more goodies shopping. Cherry soda was the treat of choice this time. From there we went on to our room and packed up everything we didn’t need for the night or the next morning. We were on our way home by about 9:30 Monday morning and made our lunch stop at Mars Cheese Castle in Kenosha. 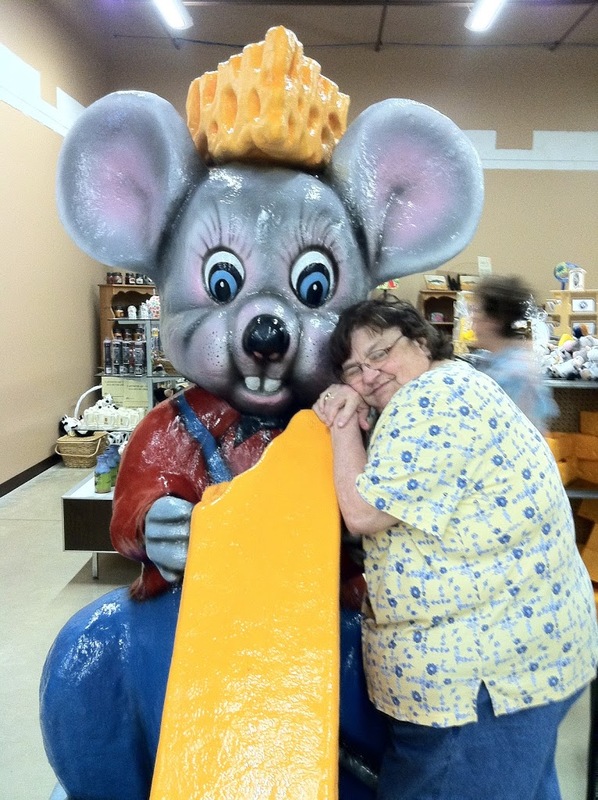 Mars Cheese is much more than just a cheese store. 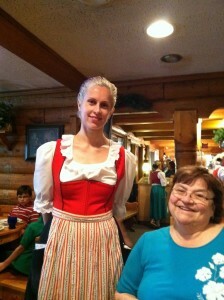 They also have a bakery, a wide selection of Wisconsin beers, a small bar, and a deli with very good sandwiches. 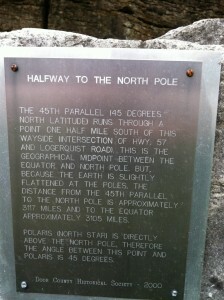 Door County was a great place for us to spend our anniversary getaway weekend. Next year will be our 20th. Hopefully we will be able to do something extra special for that one.